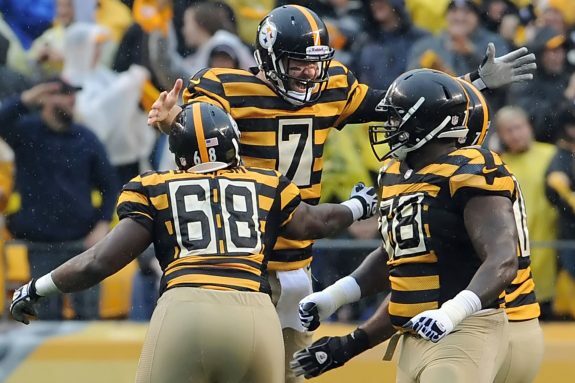 The Steelers will go old school again in 2016, as today the team announced they are going to wear their 1934 throwback uniforms for one of their home games in 2016. The game they will wear them for is the October 9th affair at home against the New York Jets at Heinz Field. It’s the fifth straight year the team will wear the 1934 uniforms. The first time they wore them was against the Redskins in 2012, and last season they wore them in a home loss to the Cincinnati Bengals. Be the first to comment on "Steelers to Wear 1934 Throwback Jerseys October 9th vs Jets"